Incredible new time management tips. American poet, biographer, writer, and editor. No tool is as handy as the right question. With the right questions we can inspect our expectations, reflect on our values, and renovate our lives. I recommend you cultivate the habit of collecting questions in a file you can refer to later. It can be helpful to organize these questions by topic, so as you find yourself facing life changes, work decisions, or relationship shifts, you can rely on a solid set of tools to help you find your way. 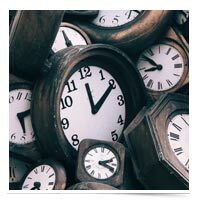 Recently I came across four questions which can give you back more of your most valuable resource: time. The questions come from Rory Vaden's TEDTalk, "How to Multiply Your Time." Vaden believes in the concept of "time multipliers." Rather than asking what the most important thing to do today is, Vaden asks, "What's the most important thing I can do today that would make tomorrow better?" For Vaden's money, there are four questions you can use to optimize your to-do lists and identify ways to reclaim time. Can I eliminate this task? If I can't eliminate this task, can I automate it? Can it be delegated, or can I teach someone else how to do this? Should I do this task now, or can I do it later? What can you do today to multiply your time tomorrow? P.S. 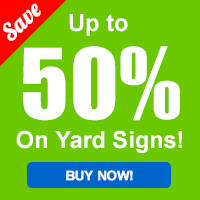 : If you enjoy Tuesday Tactics, would you consider placing your next sign order with Oakley Signs & Graphics? What if we said you could spend less time tapping away on your phone and get more done? Well, it's true. And we didn't say it, the New York Times did. Covering tips for both Android and Apple devices, this piece will teach you a handful of surprisingly effective methods for leveraging your time through automation and simple hacks. An ongoing feature in Tuesday Tactics is our "Great Read Roundup" in which we highlight some of the best pieces we've read recently and why they might expand your mind or help with your real estate career. Why it matters: If you work with clients who are real estate investors, they may be interested in this deep dive into the types of upgrades which may (or may not be!) worth considering for their properties. It looks at bed and bath additions, garage conversions, basement conversions, attic conversions, enclosed porches, and additions. Share this to start a conversation with your property investors! Why it matters: Here's a niche problem you might not be too aware of: dream homes in cell phone "dead zones." What do you do when your client loves a place, but they can't get a signal? This article covers some excellent considerations as well as practical solutions for this problem. Why it matters: Most agents will switch brokerages at least a couple of times in their career. When you're thinking of making the move, be prepared for your interviews by reviewing these 14 questions (and what they're looking for). 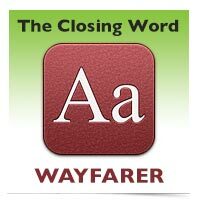 This week we continue our vocabulary-building series, "The Closing Word." Each week we provide a new word to help build your vocabulary and show you an example of how to use it. From Vocabulary.com: "Sometimes the word wayfarer is used to describe someone who doesn't simply go on a hike, but who always seems to be restless, especially a journeying literary character. One of the most well-known, classic brands of sunglasses is the Ray-Ban Wayfarer, in production since the early 1950s. Wayfarer combines way with farer, from an Old English root, fær, "journey, road, passage, or expedition." "The buyer was a bit of a wayfarer, so the home's walkability score was of paramount importance." Tuesday Tactics was developed in the Fall of 2008 and began publishing in the Summer of 2009 by Scott Levitt, owner of Oakley Signs & Graphics, to help real estate agents survive and thrive in an increasingly challenging market. In addition to Oakley Signs & Graphics, Scott is also the founder of Oakley Canvas Prints, a one-stop source for turning your photos into art you can hang on your wall. Copyright © 2008 - 2018, Scott Levitt - Oakley Signs & Graphics, Inc. All rights reserved.